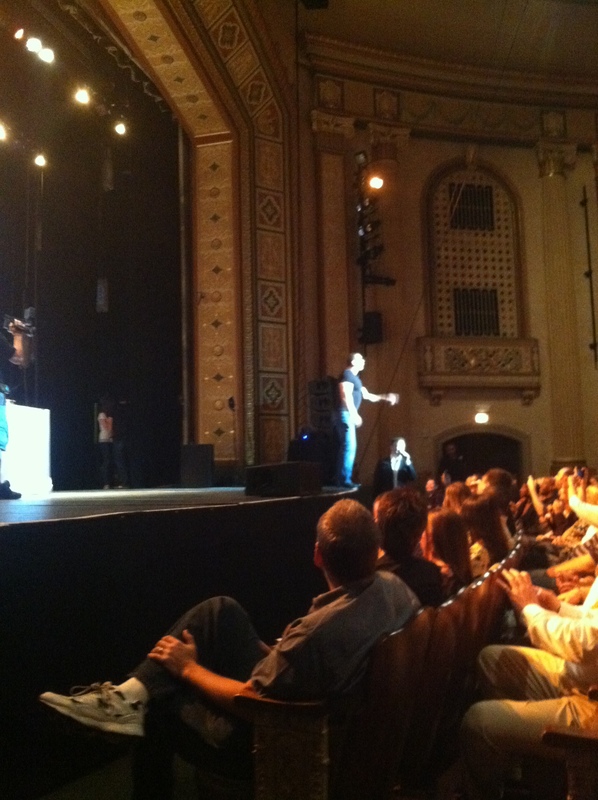 Why SCBD thinks you should see Robert Irvine Live! In case you didn’t know I’m a huge fan of Chef Robert Irvine & so is my boyfriend! I also was fortunate to have to have the opportunity to interview Chef Robert Irvine for Jersey Bites before he had his show live in Red Bank, NJ on October 5th! I figured the best way to tell you all why you should see it is through pictures! I will let you know that the night was filled with cooking, physical, mental, & cooking challenges. As Robert promised in my interview– a robot & of course getting to know him better and on a personal level! We had great seats– 2nd row to the left! It was a great night shared by both my me and Jason (my boyfriend) and let me tell you Count Basie probably smelt the best it ever did! Started the show cooking a great piece of fish! 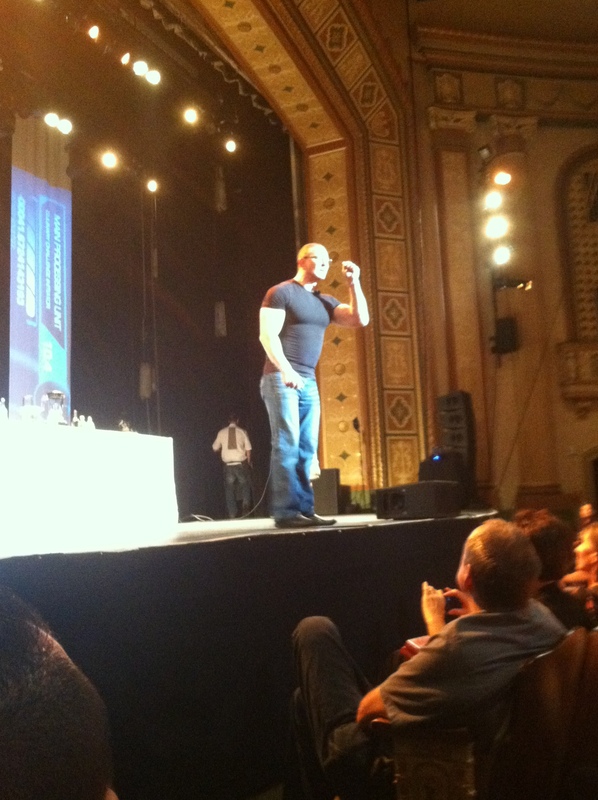 Speaking to the crowd with the lights up in the audience! Speaking again– in tip top shape! Getting ready for a challenge! Time for a physical challenge, that was crazy! 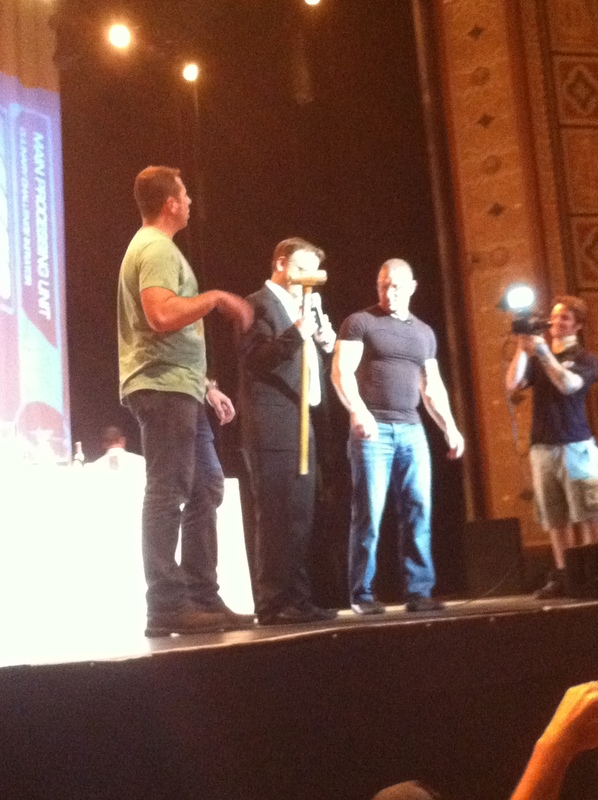 Bidding the hammer and proceeds go to the armed forces & vets! 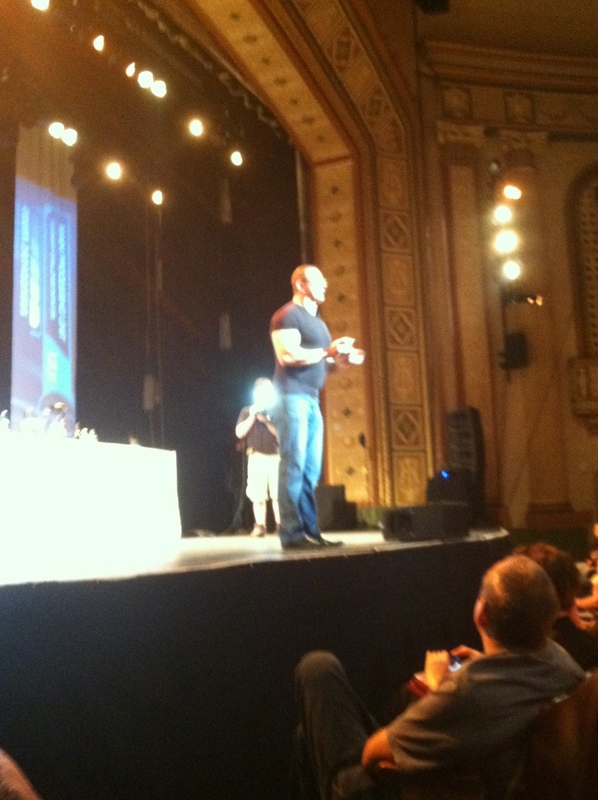 If you are a fan of Chef Robert Irvine, I highly recommend you go to the show! 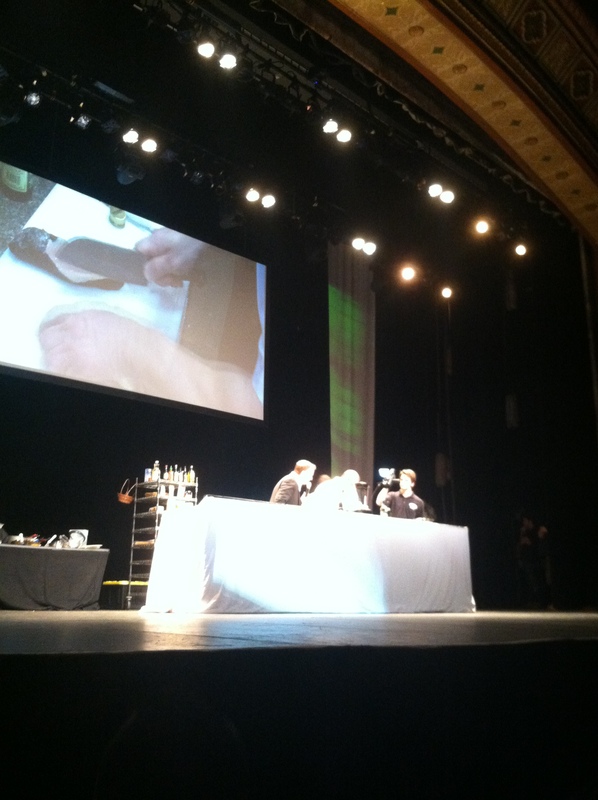 It’s unlike any show you’ll go to and you really get to meet Chef Robert! 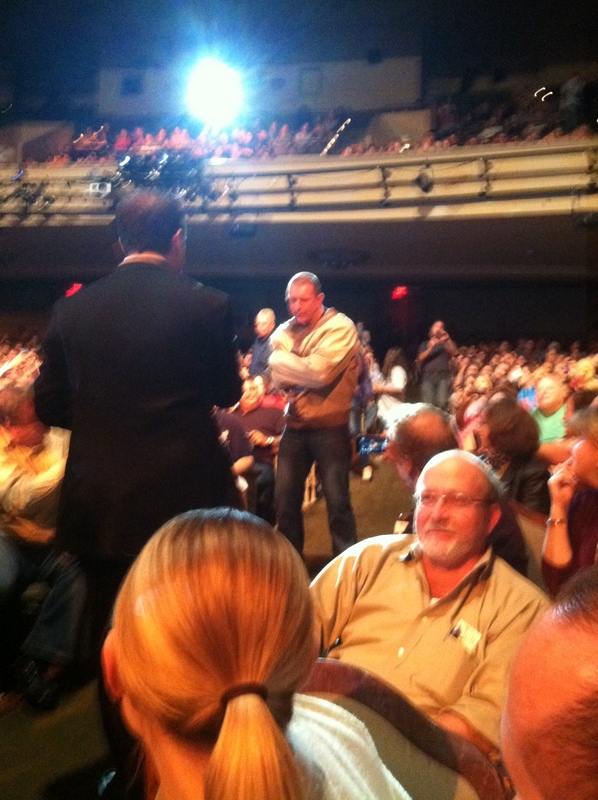 It’s awesome that he is constantly interacting with his audience and they actually participate in the show! Check out if he will be in a theater near you– here. 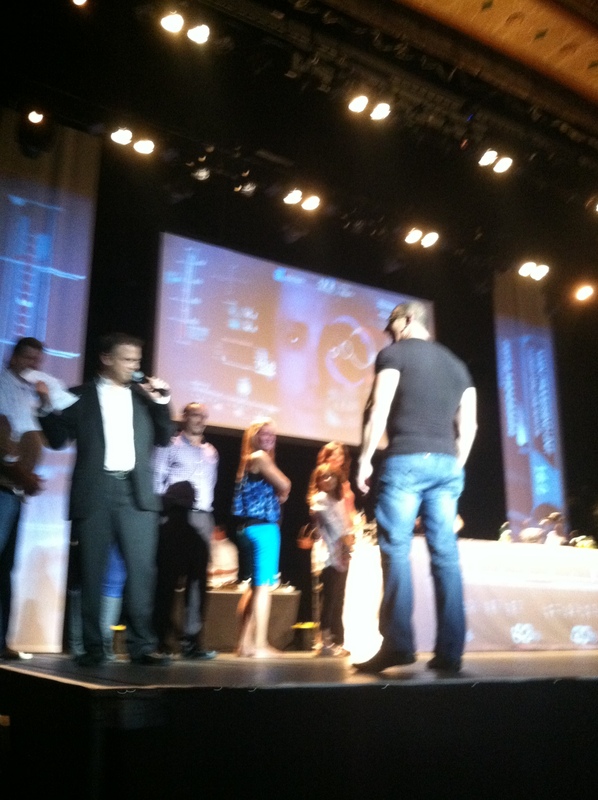 For all the Jersey fans– Chef Robert Irvine will be back in New Jersey at Bergen PAC in Englewood, NJ on December 16th. I know I will definitely be there, especially since it’s so close to where I live now! If you plan on going to the Bergen PAC show, you can purchase your tickets, here. If you’ve gone to the show I’d love to know what you thought of it! Also let me know if you plan on attending the show on December 16th, maybe I’ll see you there! 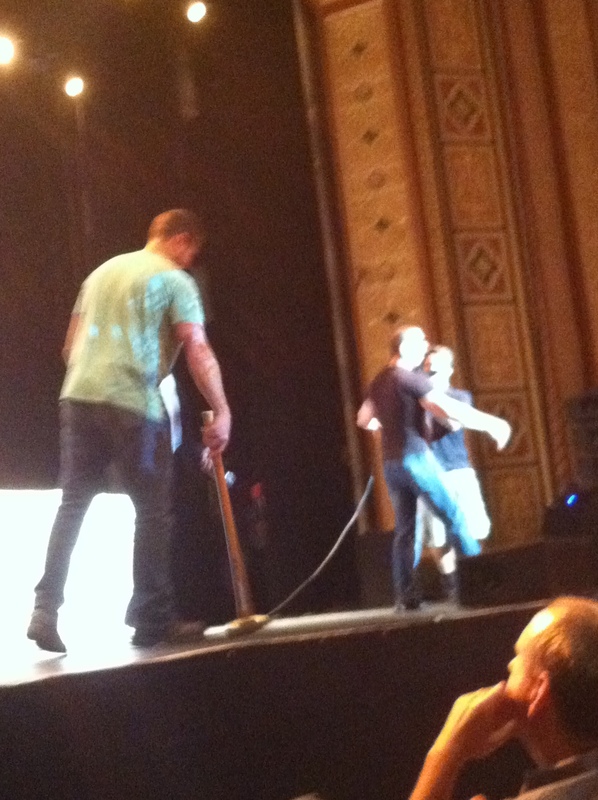 This entry was posted in Chef, cooking, demos, nj, Robert Irvine, SCBD, Small Chick Big Deals and tagged chef, chef robert irvine, fun, interview, nj, personal, red bank, scbd, show by smallchickbigdeals. Bookmark the permalink. I saw him with my husband the night after you did. He was in Walker, MN. It was a a wonderful show with a delicious meal!! He thanked my husband for his military service after taking a pic with him. Just a seriously great guy! !